Minimalism in bathroom design, The summit tries to introduce more elegant and refined shapes to the world of minimalist design. Summit is easy on the eye, and is designed to have a long lasting lifespan. Summits hidden benefit is in its pricing, excellent value for money. 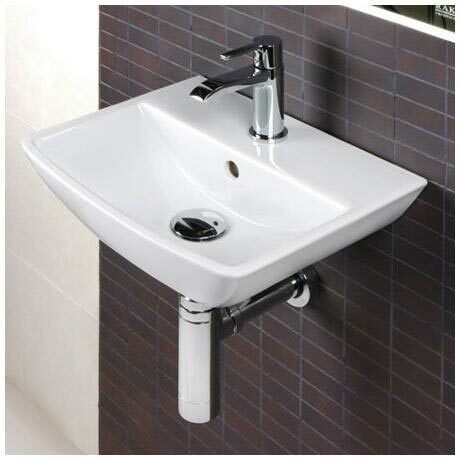 This Basin is 40cm and comes with 1 tap hole. Please Note -Taps and bottle trap pictured are for display purposes only, all taps and accessories are sold separately. Good quality basin with looks great in our downstairs cloakroom.